Dublin, 17th April 2019 – The CEO Institute, a world leading peer-to-peer network of successful CEOs, is stepping up its global presence this year, partnering with the Leading Edge Group to launch new network groups in Ireland and Ontario Canada. Established in 1992, The CEO Institute represents over 1000 members across 12 countries and has made a significant impact on the business landscape through its highly successful peer-to-peer experiential learning model. This peer support network for CEOs offers experiential learning and mutual group mentoring where members can grow professionally and personally by collaborating and drawing upon the knowledge and experience of peers. Each network group or cohort is hand-curated to ensure a diverse abundance of experience, opinion and expertise without any conflict of interest, allowing open and frank conversation and sharing of insights within a confidential environment. 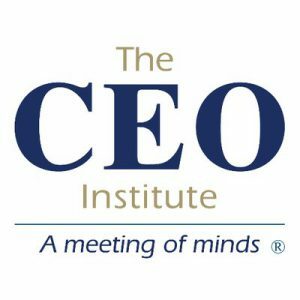 The CEO Institute facilitates connections through face to face meetings and networking events with dynamic speakers, helping business leaders thrive in today’s business environment. Commenting on the announcement, Leading Edge Group CEO, Joe Aherne stated “Our partnership with The CEO Institute in Ireland and Ontario Canada, is a fantastic opportunity for us to support our clients in both jurisdictions with a high class, executive offering that we believe is lacking in both markets. We work with CEO’s and senior management teams in over 300 organisations and the forums and networks moderated by the Institute will prove invaluable for these professionals both from a peer to peer perspective but also to share unique insights and innovative thinking in a rapidly disruptive business environment. We can’t wait to start our first CEO Syndicate and Future CEO programmes”. Lisa Kasiaras, Global Manager, CEO Institute Australia commented “The CEO Institute is delighted to announce the arrival of our certification programmes in Ireland, with the appointment of Leading Edge Group”. “Having successfully applied our experiential learning format for 27 years in Australia, we’re excited to bring our unique leadership development programmes to Ireland through Leading Edge Group, who join our ever-expanding global network”. We understand the mantle of leadership for current and aspiring leaders can be challenging. Participation in our programmes inspires members to pursue excellence in business leadership and equips them to address the challenges they face with greater confidence and knowledge”. Leading Edge Group is a global leader in continuous improvement consultancy and corporate training and education. Established in Cork, Ireland in 1995, Leading Edge Group has continued to grow and expand for the past two decades and now has operations in Canada, Australia and the Middle East. More recently Joe Aherne established ReganStein, which has redefined the management consulting sector by offering highly experienced consultants for strategic and tactical business projects. A veritable ‘one stop shop’ for business and public sector organisations in Ireland. The CEO Institute was established to help business leaders connect with their peers to share skills, insight, and experience. In 2011, they became the world’s first global certification body for CEOs with certification programmes currently available in 12 countries. Their flagship CEO Syndicate program is an exclusive peer support network for CEOs and business leaders that offers experiential learning and mutual group mentoring, helping business leaders grow professionally and personally by collaborating and drawing upon the knowledge and experience of their peers. The Future CEO program is a certification course designed to equip emerging leaders with the knowledge and skills essential to successfully manage an organisation effectively and become a CEO of the future. For more information contact Joe Aherne, CEO, Leading Edge Group, [email protected] or Ciara Murphy, Operations Manager, ReganStein [email protected]. Visit Leading Edge Group’s website here. Visit The CEO Institute main website here.